Spring Polymagnets® are produced in matched pairs and will attract until they pass the zero-force transition point - a specific and tailorable distance - from their mated Polymagnet®, at which point they will repel. These Polymagnets® hover at an equilibrium distance in space. They do not have a bias to align, so they must be constrained to perform properly. 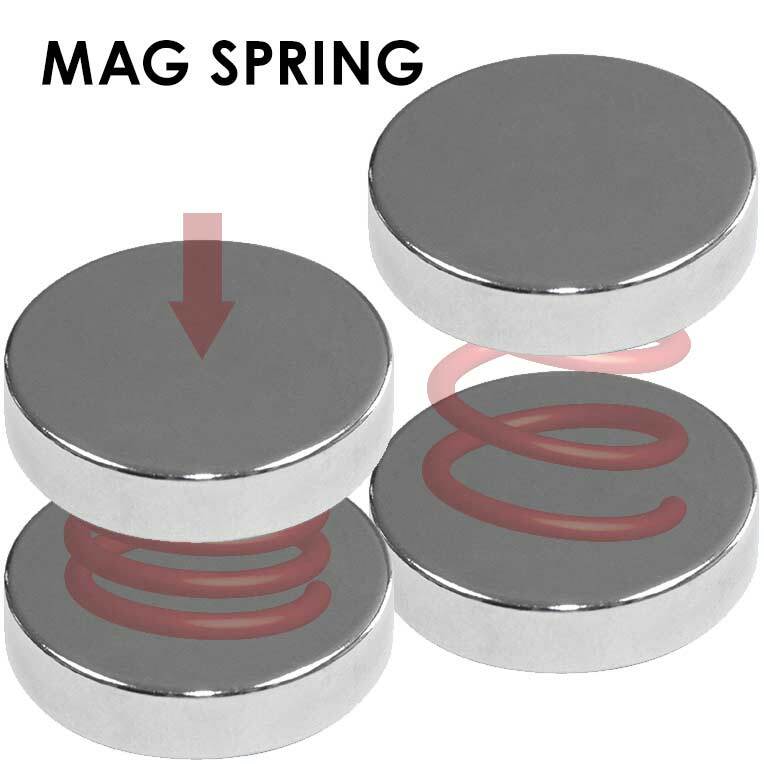 Spring Polymagnets® can serve as a vibration isolation device acting as an efficient low-pass filter across a range of frequencies and mass. Vibration isolation enables noise and vibration reduction with a wide range of potential applications.